Also be sure to check out November’s Model of the Month, Behati Prinsloo! An editorial and Victoria’s Secret model from Namibia, and best friend of Coco Rocha. 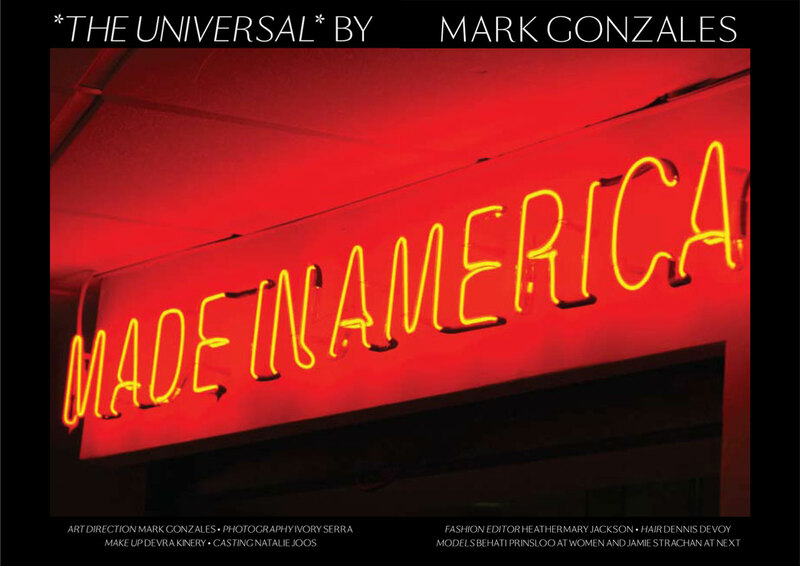 I actually had the pleasure of meeting her on Fashion’s Night Out at an exhibition of her photography. She is extremely sweet, very talkative, and quite talented. Scene: Fashion’s Night Out, New York City, September 10, 2010. I really (really) wanted to see (meet, talk with, ogle) Daphne Guinness and Anna Wintour and Grace Coddington, now none of that happened, I didn’t even get to catch a glimpse of any of their infamous crops of hair, but I still had a worthwhile time. Admittedly, last year was more exciting, it was brand new and not nearly as crowded or corporate, but it is still an amazing opportunity to meet famous fashion folk that you might not ever get to see. 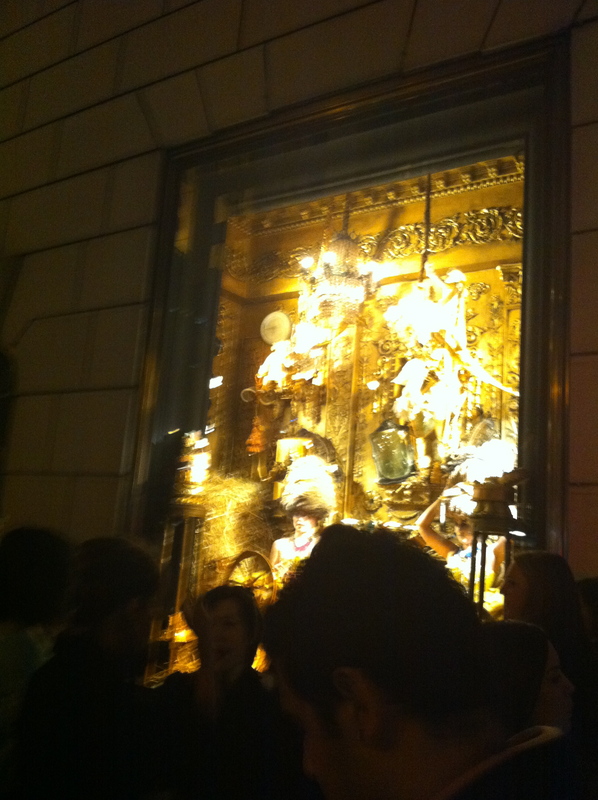 I first went to Bergdorf Goodman, and after standing in line for a while (read: cutting the line of a few hundred people) I made it inside only to find out I missed all the food and drinks, and Sarah Jessica Parker was scared to come out of the elevator because there were so many people. I did, however, get to be about a foot away from (and smile at) Linda Fargo and Robert Verdi. Linda Fargo has one of the most amazing jobs on the planet and I am supremely jealous of her. 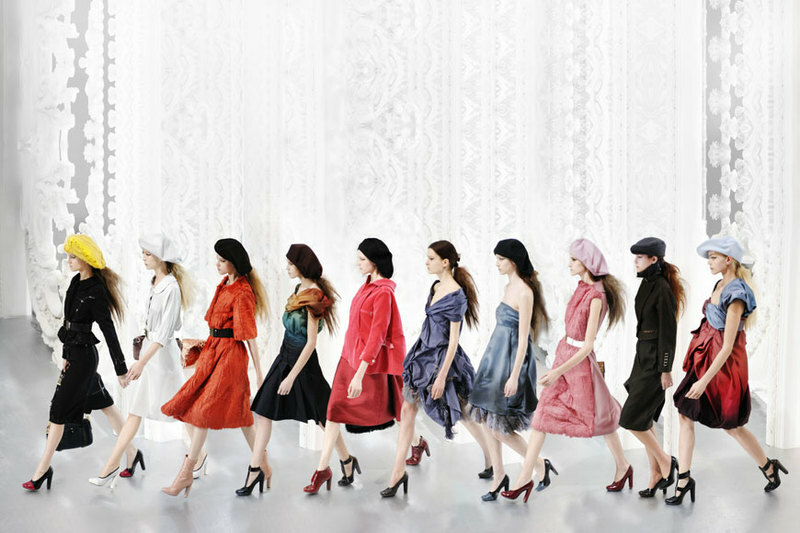 She is Vice President of Visual Merchandising and Women’s Fashion Director at Bergdorf Goodman. Her taste level and creativity is like none other. 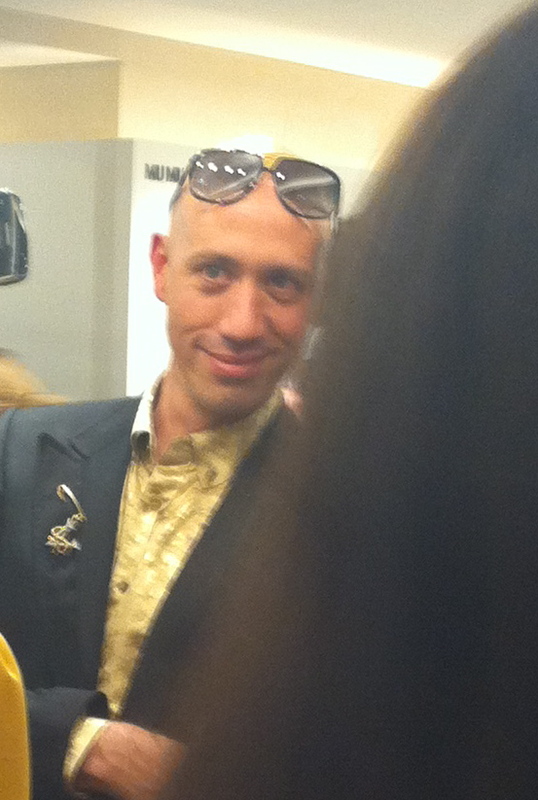 And Robert Verdi, is a lovely eccentric stylist. After that I went over to Barney’s, with the hope of bumping in to Daphne, but as we know that didn’t happen. However, I was able to meet Simon Doonan (Creative Director of Barney’s and one of my favorite people on the planet) again. We had a cute little photo shoot and then I went on my way up to the 5th floor where Mary-Kate and Ashley Olsen were supposed to be, but it was so crazy and not worth it in my mind so I left. And according to Twitter they didn’t show up for like an hour. 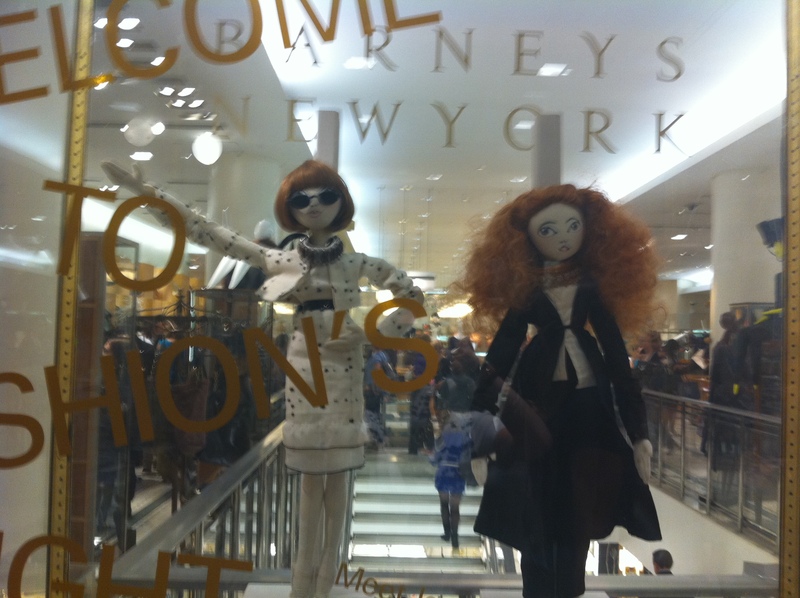 I did get a picture of the Anna Wintour and Grace Coddington dolls though. . . So, I started wandering around New York City without a plan, heading into stores I thought looked interesting, and I ended up having pretty good luck. 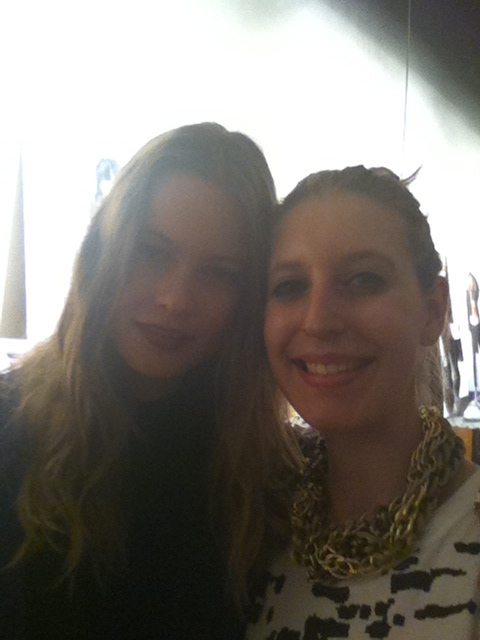 At Fratelli Rossetti, Behati Prinsloo (Victoria’s Secret model) was showing her photographs, which were actually really good. I got a few pictures with her and a talked with a photographer for a while. 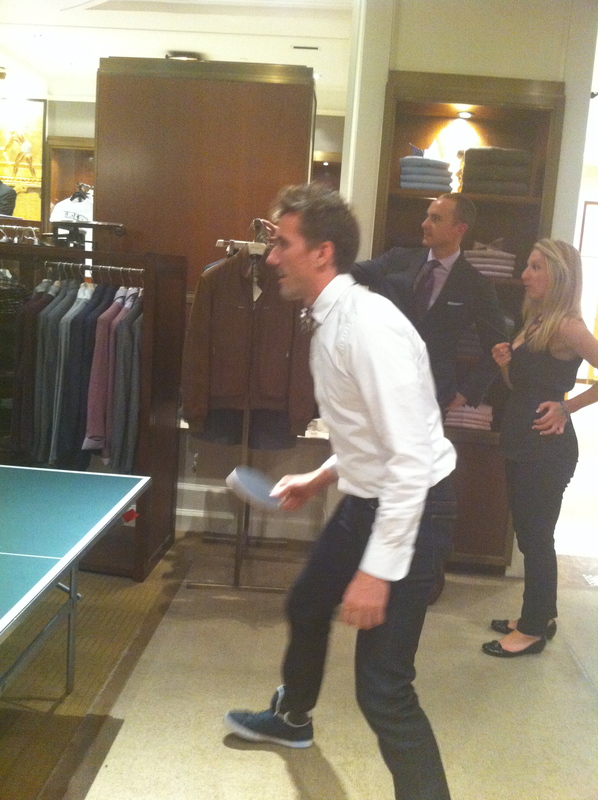 Then I went over to the Bergdorf Goodman Men’s Store where a ping pong, air hockey, and foosball table were set up where you could challenge famous designers to a match. When I was there Henry Holland was facing off against Georgina Bloomberg (Mayor Bloomberg’s youngest daughter). 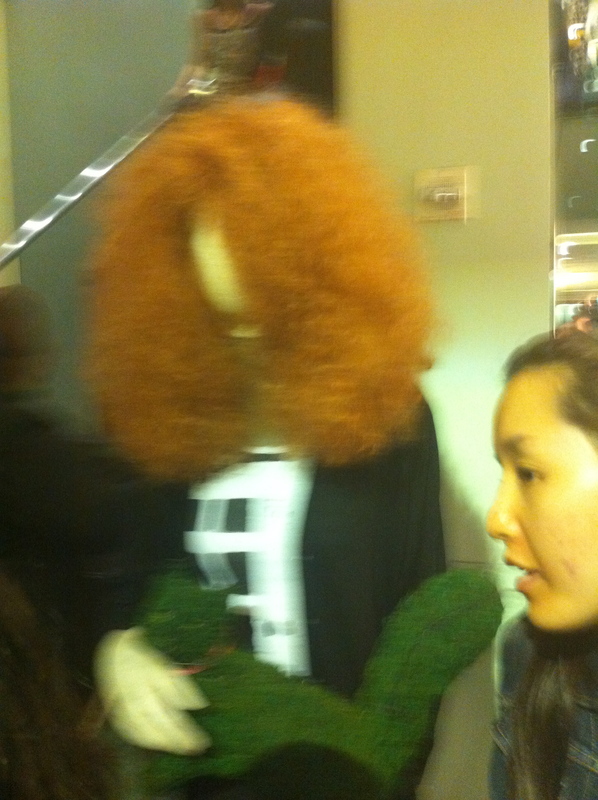 Then I went over to Prada, where I knew Grace Coddington was holding court, but of course she left right before I got there. There was an amazing mannequin made up to look like her. 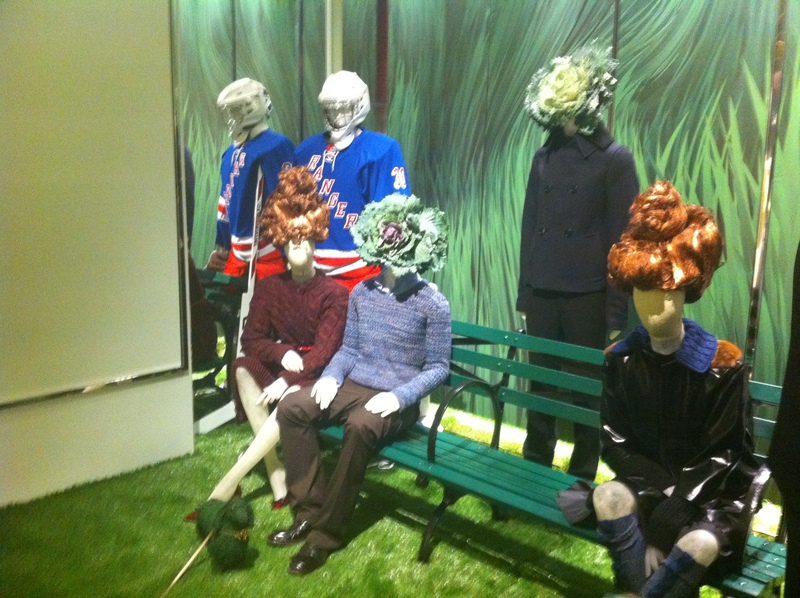 There were amazing mannequins everywhere, with wigs that must have been done by Julien d’Ys. Oh yes, and the floor was fake grass, which was super fun to walk on in heels. On the second floor Michael Urie (Mark on Ugly Betty) and Tessa Thompson were sitting on a bench completely undisturbed and deep in conversation. Why no one swarmed them is beyond me. Michael Urie and Tessa Thompson. 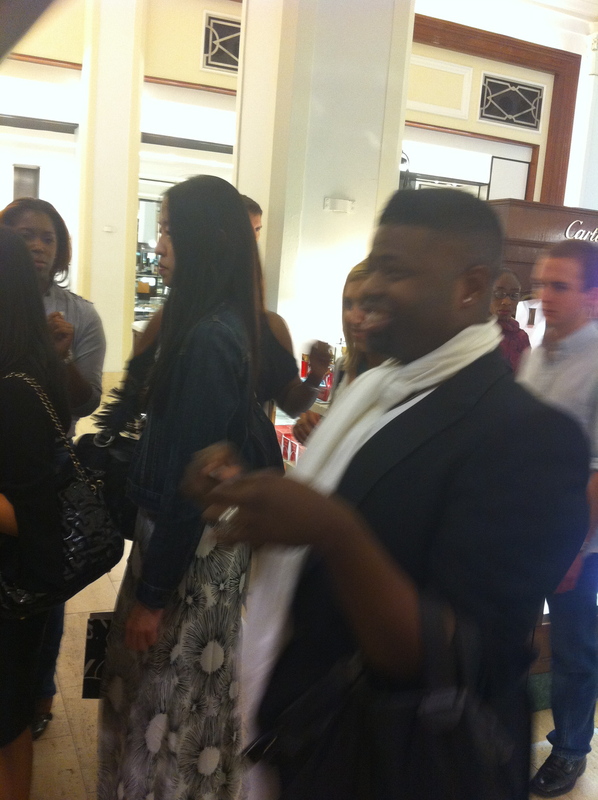 I popped over to a much too crowded Versace where I just took a picture of the models and then headed over to Saks Fifth Ave where as I was walking through the door Anthony Williams from Project Runway was leaving with a camera crew. So all in all I would say a pretty successful night. 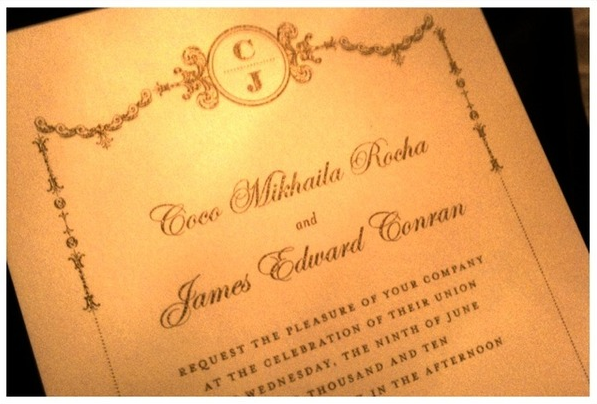 Coco Rocha married James Conran in France on June 9. And I happened to come across the only picture of their wedding so far. I am actually quite impressed with them, it is seven days later and there is only one picture of the dress on the internet. I think Ms. Lindsay Lohan needs to learn from this charming model, wife. We all know that Zac Posen was designing the wedding dress for her and he really does wonders to her body with his clothes. Remember it is a bit difficult to make a 21 year old look “womanly” when she is 5’10” and stick thin, not so many curves to work with. But I think he pulls it off nicely. To the right is the invitation, which unfortunately I do not have in my possession, rather Rocha posted a picture of it on Twitter. It is perfectly elegant and fitting for a wedding in a French castle, the same one where Conran proposed to her. 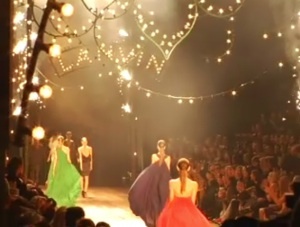 It was attended by only 50 of their closest family and friends, including Victoria’s Secret model, Behati Prinsloo. When more photos come in, I will of course post them, but until then here is the picture of Coco on her wedding day.